Mazda Tribute and the Ford Escape are in essence the same vehicle. This means that many of the parts are interchangeable. 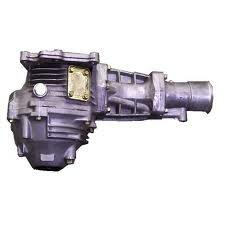 The Mazda Tribute transfer case could be retrofitted with a Borg Warner supplied transfer case for a Ford Escape. The V6 3.0-liter engine that is inside of the tribute and the 4 or 5-speed transmission work perfectly in sync with the transfer case. Finding what you need for your drive train is not hard here at www.transfercasesforsale.com/transfer-cases. We work hard so that you don’t have to waste your time buying parts that won’t hold up for a replacement. We rebuild transfer cases for sale. One thing you will notice instantly about our company is the size of our inventory. We are responsible for shipping almost half of the transfer cases that are purchased from the Internet. We sell to dealers, salvage yards and mechanics that depend on high quality parts. Your Mazda or the one you are purchasing parts for deserves to have the very best. You can find a great deal here on a used or rebuilt transfer case. Our pricing is pretty much the lowest price plus the cost of shipping that you can find right now on the Internet. We specialize in Ford and Mazda transfer cases for sale. We give warranty coverage for two reasons. The first reason is that we feel it’s necessary. We have complete trust and faith into what we rebuild. We purchase transfer cases that are used and open them up and rebuild them. We don’t manufacture them. This leads us to the second reason. Because we are not the manufacturer, we know things can go wrong that are completely out of our control. We can put OEM parts inside, change out springs, gears and couplers and a problem can still happen to OEM parts. We cover this with the OEM extended warranty that each part includes. Our warranty also provides protection for the labor we put into each drive train unit. Our cases are in great condition, but if you do have a problem we’ll be more than happy to fix it. We guarantee that you will get world class treatment, a great transfer case and super fast shipping when you purchase from us. We are a professional seller. We have a toll fee number and an excellent support staff. We are always available to take your phone call or to respond to your email messages. We still believe in customer service and make sure that each customer has a rewarding experience when buying a transfer case from us. You expect nothing but high quality and we give it to you with every order. When you partner with our company, you are treated exceptionally well and we stand by you before and after your purchase. You came to our website to learn about how much we sell transfer cases for on the Internet. You can find that out in less than 30 seconds. Use our Mazda Tribute quote form and your price is given immediately. Call (888)-508-7153 to get our pricing over the phone or answers to any Mazda questions. We’re fast and super friendly. Try us out.